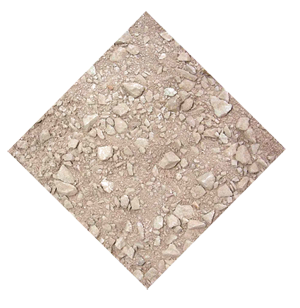 CEDEC® footpath gravels comprise granite and quartzite‚ which are chemically inert and durable and will not affect the pH value of the surrounding soil. This is important where newly planted trees or pH-sensitive plants are sited. Its porous nature is good for trees generally. In order to function effectively‚ CEDEC® needs to be rained upon and walked upon. It will not be effective indoors or under permanent shelter. After compaction‚ coverage of CEDEC® footpath gravel‚ is approximately 10m2 per tonne @ 50mm thick‚ compaction being about 25%. So‚ to compact to 50mm‚ an initial non-compacted layer of 65mm is required. Please see our CEDEC Laying Guide for detailed information. CEDEC® was developed following a request during the construction of Canary Wharf for a footpath gravel that was free of limestone so as not to affect the pH of the soil around the trees. It was suggested that it should be something like the surface upon which the French play boules. Initially we were somewhat perplexed as to how such a material would work without the ’gluing’ effect found in the British limestone footpath gravels then available and with which we were familiar. Nevertheless in France there were hard limestones used that did not “set”. Two British aggregates (a silver-grey third has now been added to the original red and gold)‚ all being quartzite and/or granite‚ were found to have the correct grading and shape profiles to pack efficiently and one was chosen for Cabot Square at Canary Wharf. It worked well and not long after‚ other designers started to ask for the same material. Almost entirely through word of mouth CEDEC® has developed into a standard footpath gravel widely used in public landscapes and sometimes in private gardens too. In using such a material‚ it is useful to understand how it works. 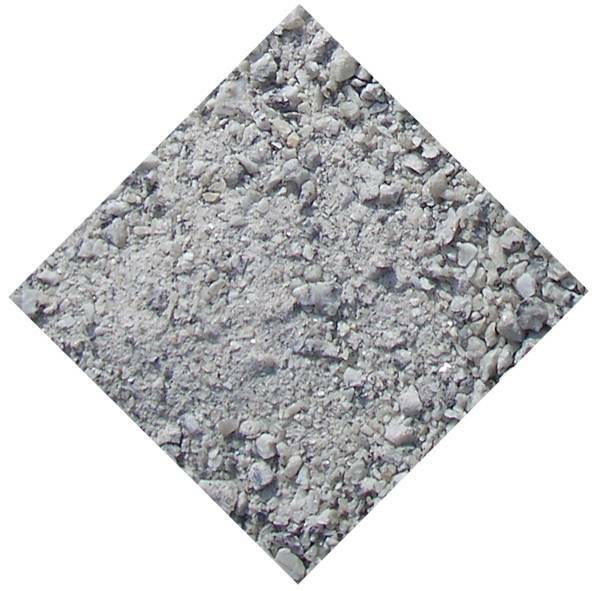 CEDEC® is a crushed aggregate sized below 6mm. It has a lot of very fine particles included. The range of sizes and shapes is such that there are relatively few interstices and a fully compacted bulk density of up to 2 tonnes per m3 may be expected. CEDEC® is placed upon a sub-base which must itself be porous. This sub-base does two things. It provides support to the CEDEC® and allows water passing through the permeable CEDEC® to continue down into the ground. In this context it is necessary to appreciate that CEDEC™ and/or its sub-base should not be laid on concrete‚ clay or any impervious material without suitable drainage being installed first. As has been said earlier‚ CEDEC® does not set‚ it packs. Therefore it remains capable of being moved about‚ whether by a heel or turning tyres. However‚ CEDEC® is not harmed by this - there is nothing to break so it can always be put back in place. As with any loose material‚ CEDEC® may be picked up to some degree by shoes‚ especially in damp conditions. If being used near a building entrance‚ ensure that adequate foot cleaning or transitional areas are provided. We have on occasions suggested that some granite setts be introduced as a buffer between the CEDEC® path and the smooth surfaces‚ these setts being laid with the CEDEC® as the bedding and jointing medium for which it is well suited. CEDEC® can migrate if continually encouraged in one direction - generally downhill. In such cases‚ some form of step will need to be introduced to lessen the slope. In essence CEDEC® must be constrained but even so‚ it can be kicked onto adjoining hard paving surfaces. When laid initially‚ CEDEC® should be rolled as indicated in the laying guide. This gives a useful start to the compaction process that will be continued by the processes of rain and being walked upon. If the area will always be dry‚ CEDEC® is not suitable. If the footpath is untrodden for a significant period especially before it is first used‚ the material may appear to become slightly ’fluffy’. If this happens‚ it can be corrected by using the footpath normally. If the packing process has to be speeded up‚ then re-rolling as originally indicated may be undertaken. The rolling process is not really essential to the production of an effective footpath and can be reduced or omitted if near trees‚ it will simply take longer for the CEDEC® to pack. When it is fully packed‚ CEDEC® will feel firm but still have a loose crumb on the surface. For use in Tree Pits we recommend using SuperCEDEC®‚ which has been specifically designed for this application. In general‚ CEDEC® seems to be very forgiving of maltreatment. We know of customers who have laid it 75mm deep instead of 50mm and even of it being laid 100mm deep on a membrane‚ with a layer of lightweight rounded aggregate underneath. This last was on a roof. The water flow between the lightweight aggregate particles was sufficient. We have customers who have used it as a driveway‚ contrary to our advice and knowing that with power steering‚ some problems could arise. Nevertheless on viewing the result some eight years later and after much use‚ we were disconcerted to see how well the CEDEC® still functioned. We do not‚ however‚ recommend its use for traffic generally‚ though once well-compacted it will not be harmed in any significant fashion if it is driven over by a fire engine or articulated lorry. If it is roughed up‚ simply spread it back to its correct levels. It is however‚ not tarmac. Many are the situations in which it can be used but not everywhere. It can be used by wheelchairs‚ but it is harder work than a hard smooth surface. It has though‚ been used in a care environment. Any area of CEDEC® must always be constrained by a raised surround. As an example‚ always leave the surface of the CEDEC® at 5-10mm lower than the adjacent paving‚ to minimise migration of the loose chips onto the paving. Because CEDEC® relies on its own binding qualities for stability‚ it is best as a level surface. It should not normally be laid on a slope greater than 1 in 25. If appropriate‚ steps should be used to reduce the steepness of the slope. For slopes greater than 1 in 25‚ we recommend using our SuperCEDEC®. CEDEC® is not recommended where lateral forces are applied to the compacted surface by frequent wheeled traffic. Loss of cohesion of the surface‚ and hence friability leading to erosion‚ can occur where any wheeled traffic is accelerating‚ slowing down or turning. For a permeable‚ “SUDS” compatible surface in a vehicular environment‚ we would suggest using our Cedagravel® system. The following specification for laying CEDEC® is based on standard best practice but may need to be varied according to the particular situation. These instruction should be read in conjunction with our CEDEC Design guidance. The foundation layer should be laid to the same uniform crossfall as is required for the finished path. This layer should be firm enough to take the subsequent layers and compacting machinery without deformation. A geotextile may be used underneath the sub-base if ground conditions so indicate. The thickness of the base layer will depend on the maximum vehicle weight likely to cross the CEDEC®‚ but a compacted 150mm sub-base is usually appropriate for pedestrian and light vehicle use. The sub-base should consist of a free draining layer of inert MOT Type 1 (for example granite or quartzite). A non-vibratory roller or wacker-plate should be used‚ but be careful to avoid damage to irrigation systems if installed. If any irregularities are found in the base layer‚ these should be rectified with the base layer material and not the surface material. 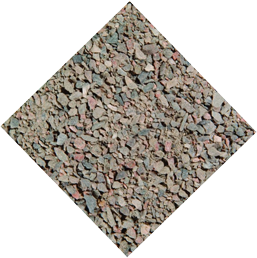 CEDEC® footpath gravel should be supplied in a thoroughly mixed state. It must be slightly moist and should not be laid if dry. Under normal circumstances CEDEC® should be laid to a thickness of 50mm after compaction. Initial compaction should be carried out BEFORE further watering takes place‚ by a non-vibratory roller that is not so heavy as to distort the surface‚ until the CEDEC® is compacted and feels stable underfoot. In awkward or small spaces with poor access‚ a wacker-plate may be used. After initial compaction‚ which should be sufficient to prevent fines being washed through the surface‚ thorough saturation with water is necessary‚ using a hose fitted with a rose sprayer or similar method‚ taking care to prevent heavy disturbance of the top surface. Final compaction of the saturated surface will be required following the watering‚ however a short delay (up to 30 minutes depending on circumstances) may be necessary to allow the mass of water to drain away. Further cycles of watering and compacting may be required within one week of laying‚ depending on the site conditions prevalent at the time. After compaction‚ CEDEC® has a bulk density of 2 tonnes per m3 and coverage is approximately 10m2 per tonne @ 50mm thick‚ (compaction being about 25%). To compact to 50mm‚ an initial non-compacted layer of 65mm will be required. Correct maintenance for the newly laid footpath gravel is essential and damage must be repaired promptly. If the new surface is allowed to dry out there is a possibility that the surface may tend to break up through lack of bonding. Regular maintenance by watering with a hose fitted with a rose sprayer‚ or similar method‚ plus rolling with a non-vibratory roller may be necessary until the surface is entirely consolidated. Drag matting or brushing should be carried out if necessary. Any depressions should be de-consolidated‚ additional CEDEC® added‚ re-rolled and made good as per the above laying guide. NEVER ROLL A DRY SURFACE! Collect large litter with a spiked litter collector. Raking with a spring box rake will pick up small pieces of litter‚ cigarette ends‚ chewing gum‚ twigs‚ leaves etc. DO NOT USE A VACUUM SYSTEM! A “Leaf Blower” on low power may also be used‚ except under very dry conditions. Should the surface become hard and impervious and there be some puddling‚ thoroughly spike the surface with a fork to improve drainage. If the CEDEC® has become seriously contaminated with soil or detritus‚ it may need to be replaced. If erosion has occurred‚ it is prudent to identify the cause of the erosion before re-laying. CEDEC® is a graded aggregate‚ so non-vibratory rollers must be used. In awkward or small spaces with poor access‚ a wacker-plate may be used. Do NOT use a vibratory roller with the vibrate function turned on as this will deform the surface layer. For further information concerning CEDEC® or a location where CEDEC® is available for viewing‚ or for information on using SuperCEDEC® on steep slopes or in Tree Pits‚ or Cedagravel® in trafficked areas‚ please call one of our nationwide depots.